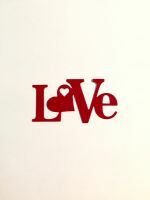 This is a georgeous little Love die cutting stencil, with a heart shaped 'o'. 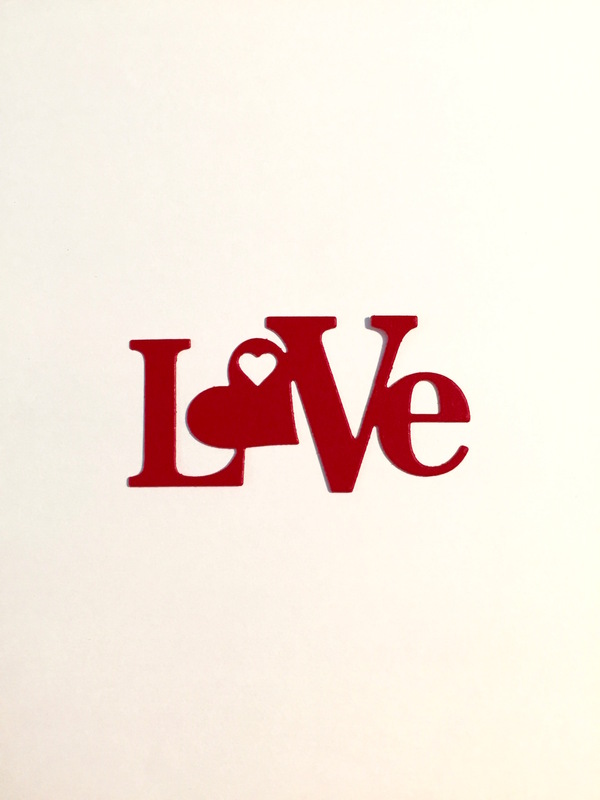 The heart shape also has has a small cut out heart which creates a decorative element to the die cut shape as well as a small die cut heart for you to use in your design. 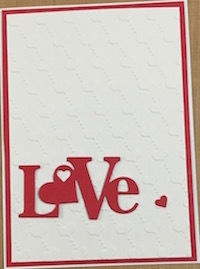 This die is perfect for Valentines, wedding and anniversary cards as well as scrap book pages for various themes and celebrations. 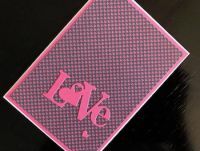 Size 6.4 x 3.5cm or 2.5 x 1.5 inches approx.Steel die, compatible with most leading brands of die cutting machine.